Outstanding Reputation. NELMCC is the centerpiece of the Elisabeth Haub School of Law Environmental Law Program, ranked first in environmental law nationally by US News and World Report. 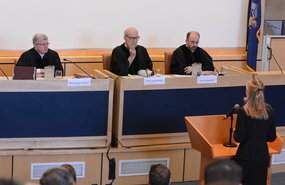 Instituted in 1989, The Jeffrey G. Miller National Environmental Law Moot Court Competition (NELMCC) is the largest interschool moot court competition of any kind under one roof, regularly attracting 200 competitors from law schools from all over the nation. Highly competitive with tremendous educational value, NELMCC has established a national standard of excellence in moot court competitions. Extraordinary Educational Experience. NELMCC provides an intellectual workout for competitors through complex legal analysis of today’s thorny environmental issues presented in the Problem. Competitors research and analyze the issues before writing persuasive arguments for one party advocating how the issues should be resolved. Competitors are then required to argue the issues orally for all three parties, rounding out the rigorous academic experience. ABA SEER Award Winner. NELMCC is the recipient of the 2013 American Bar Association’s Section of Environment, Energy, and Resources Distinguished Achievement in Environmental Law and Policy Award for its broad national reach in engaging environmental law students on appellate brief writing and advocacy and commitment from environmental practitioners and the judiciary who judge and critique the competitors. Great Location. The beautiful campus of Elisabeth Haub School of Law is located only 20 miles north of New York City with convenient access to the city and major airports. If you would like to be a judge for NELMCC we have an online link to register. please contact lrubich@law.pace.edu for the link. Preliminary rounds are scheduled for Thursday, February 21, 2019 from 9:30-11:30 am & 2:00-4:00 pm and Friday, February 22, from 9:30-11:30 am on the law school campus at 78 North Broadway in White Plains, New York. Interested attorneys are requested to register online. Confirmation and judging materials will be sent to registered attorneys. Attorneys should arrive 30 minutes prior to their scheduled round for final instructions. Attorneys admitted to the New York bar for more than two years may earn two practice credits per round of judging. Attorneys in states other than New York will need to check with the state's CLE department to determine if the program will satisfy its requirements. Attorneys must sign in and out on the attendance sheet before and after each round of judging in order to receive CLE credits. According to New York State CLE rules, newly admitted attorneys (attorneys admitted to the bar less than two years from the competition date) cannot earn CLE credits for judging moot court competitions. Click here for Crowne Plaza booking information. The reservation deadline is January 28, 2019. Problem Questions and Answers Period ends October 29. Every year law student advocates nationwide assemble at The Elisabeth Haub School of Law to compete in the largest interschool moot court competition under one roof. Over 200 competitors and 150 attorneys participate in grading briefs and serving as judges for the three day competition. NELMCC tests students' skills in appellate brief writing and oral advocacy and uses issues drawn from real cases to provide students first-hand experience in environmental litigation while also providing a rigorous academic experience. The Competition is distinctive in that three adverse teams argue the issues, reflecting the fact that environmental litigation frequently involves multiple parties — the government, a public interest group, and a member of the regulated industry. Oral arguments begin with preliminary rounds on Thursday and conclude with the final round on Saturday, which is open to the public. Judges evaluating the oral arguments include attorneys with environmental law expertise, local attorneys and judges from the nation’s courts. Final round judges are members of the federal and state benches and the US EPA’s Environmental Appeals Board. Each year the legal problem involves timely issues of national importance and/or internatonal importance to the practice of environmental law. The Jeffrey G. Miller National Environmental Law Moot Court Competition is grateful to the organizations and people whose generous financial support help make the event possible. 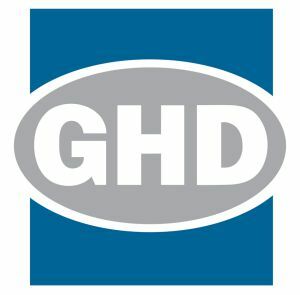 Privately owned by our people, GHD provides engineering, environmental and construction services to private and public sector clients across five continents and the Pacific region. Focused on creating lasting community benefit, our connected global network of 8500 people delivers projects with high standards of safety, quality and ethics. Committed to sustainable development, GHD improves the physical, natural and social environments of the many communities in which we operate. www.ghd.com. The American Bar Association (ABA) Section of Environment, Energy, and Resources (SEER) is the premier forum for lawyers working in areas related to environment, energy, and natural resources law. The Section is committed to providing content and forums to help members enhance professional skills and dialogue on relevant subject areas. SEER represents more than 10,000 members with a wide range of professional interests. The Section keeps its members abreast of development trends, current court decisions, legislative initiatives, and statutes concerning environmental, energy, and resouces, please visit www.ambar.org/joinseer. Building on its history, reputation and experience, the Environmental Law Institute uses law and policy to create practical solutions to difficult environmental problems. ELI combines penetrating analysis with the knowledge and energy of local partners to protect people, places, and the planet. ELI gives citizens the information and skills they need to prosper while preserving the natural environment. ELI’s books and periodicals, including the Environmental Law Reporter® and the National Wetlands Newsletter®, provide the environmental profession with cutting edge policy and legal analysis. The Institute invites students to join the ELI Associates Program for free to receive a subscription to the award winning The Environmental Forum®, the profession’s leading policy magazine, as well as a wealth of resources, such as ELI’s weekly e-mail bulletin, @eli.org, which updates members on recent developments and interesting career possibilities. 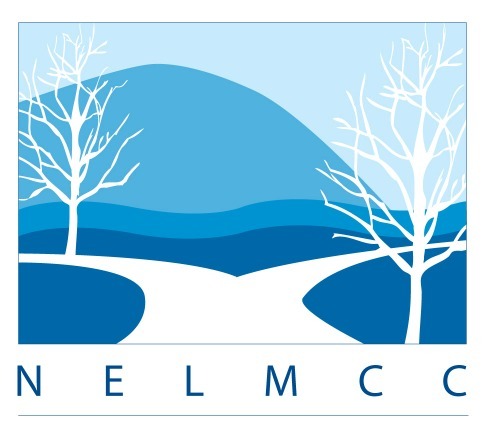 Each year, our campaign goal is to raise money that will continue to grow NELMCC as a premier environmental moot court and add to the outstanding reputation of the Pace Environmental Law Program. Please consider making a donation to NELMCC. We rely 100% on the generous support of donors to help fund the administration of the event. SPECIAL NOTE: CHECK THE BOX TO DESIGNATE YOUR GIFT TO THE "NATIONAL ENVIRONMENTAL LAW MOOT COURT COMPETITION"
Thank you for supporting NELMCC. In satisfaction of the requirement of service on opposing teams, the 2019 teams have submitted electronic briefs by email attachments. These files are in PDF format. Teams can be identified by their number. Below are the links to the individual briefs. Although we have scanned all the files for viruses, saving the files gives your virus-scanning software a chance to rescan and is the best practice when downloading files from the web. If a team has withdrawn from the competition, their corresponding team number will not link to a brief. General Information – Registration is limited to one team per school. Each team must complete the online registration form. The nonrefundable registration fee is $550.00 payable online by credit card or check. Checks should be made payable to Elisabeth Haub School of Law-NELMCC and mailed to our office with school name and a copy of the registration confirmation email. The registration fee covers light breakfasts, lunches and receptions during the competition for the team. Teams are responsible for travel, accommodations and other expenses. Registration Acceptance & Deadline – The registration deadline is September 28, 2018. Late Registrations will be considered if space allows. The office will notify the team contact when the school is officially registered. The Problem will be distributed by email on or about October 8, 2018 to the Team Contact of all registered teams. The Team Member Confirmation Form should be completed and submitted as soon as the team is constituted AFTER the release of the Problem but no later than October 26. Please refer to Rule III (B) of the Official Rules. Your team number, which is required to complete the form, is provided in the Problem & Rules distribution email to the team contact from each school on October 8, 2018. Please refer to the original email or, if needed, contact the NELMCC office. Please complete the requested information by December 7. The school’s team number was provided earlier to the team contact or you may email the NELMCC office at nelmcc@law.pace.edu. Click here for the background and history of the original "Dawn-Storm King" watercolor painting. The painting is exhibited each year by the winning school of the competition.